The milestone may have taken a little over a year to happen, but the actress isn’t any less proud of how far she’s come as now a legit YouTuber. 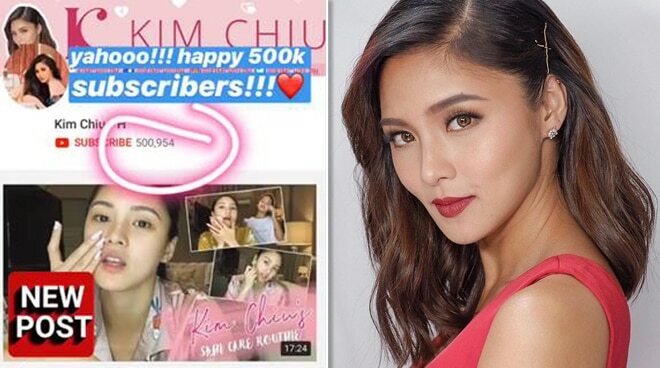 Getting closer to her dream of earning a Gold Play Button, Kim Chiu now has half a million subscribers on her YouTube account as of Monday, April 1. The actress and TV host took to her Instagram Stories to share the good news with her loyal supporters. “Yahooo!!! [H]appy 500k subscribers. [B]ecause of that I will be sharing my skin care routine,” she wrote, adding that her new vlog entry would premiere at exactly 8:30 that evening. 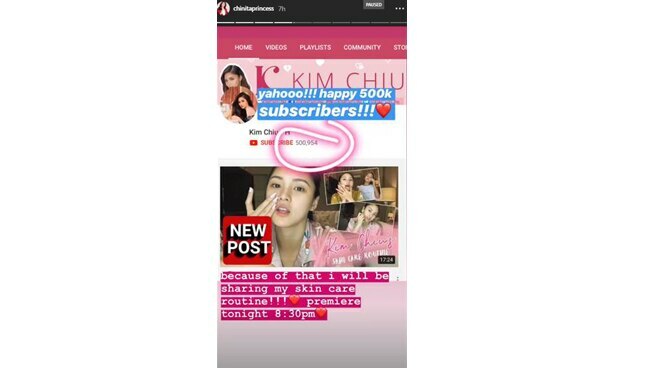 Kim launched her official YouTube channel, Kim Chiu PH, in September 2017 to better engage with fans by sharing a peek of what actually goes on behind the camera, among other interesting events in her personal life. She has generated nearly 10 million views since, with her room tour getting the highest engagement with over 3.6 million views as of this writing.